This story originally appeared on AIN. Read the expanded version on AIN, HERE. 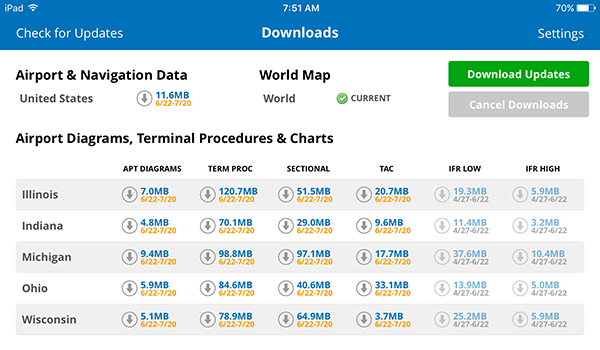 iFlightPlanner for iPad users may now download airport and navigation data as well as aeronautical charts, georeferenced airport diagrams and terminal procedures for the FAA Data Cycle that goes into effect on June 22, 2017. Simply tap the button in the upper-left corner of the Downloads tab to "Check For Updates". 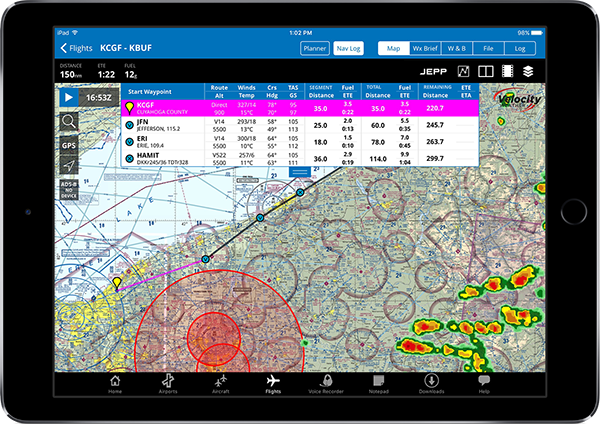 Pilots using iFlightPlanner.com their PC or smartphone will see the iFlightPlanner Cloud automatically make the transition to the new data at 9:01Z on June 22. 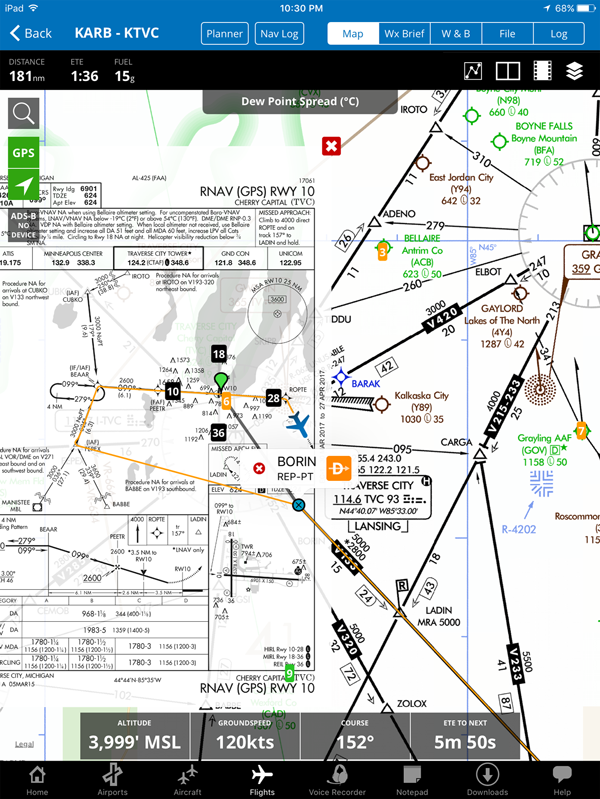 Official airport, navigation and chart data for the FAA's 28-day cycle beginning 5/25/17 became current today as of 09:01Z. 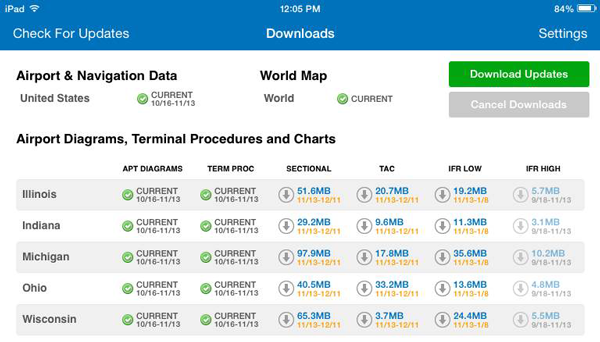 This includes updated georeferenced data for airport diagrams and instrument approach procedures available in iFlightPlanner for iPad. 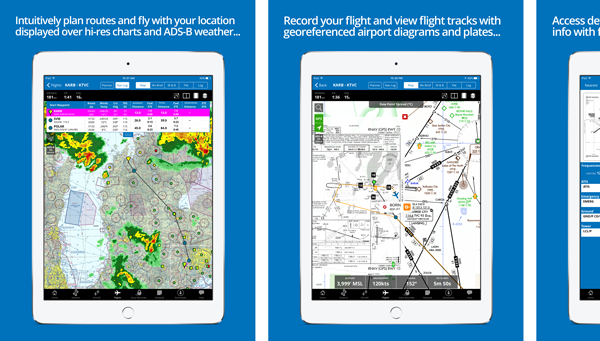 iFlightPlanner for iPad users may now download airport and navigation data as well as aeronautical charts, georeferenced airport diagrams and terminal procedures for the FAA Data Cycle that goes into effect on May 25, 2017. Simply tap the button in the upper-left corner of the Downloads tab to "Check For Updates". 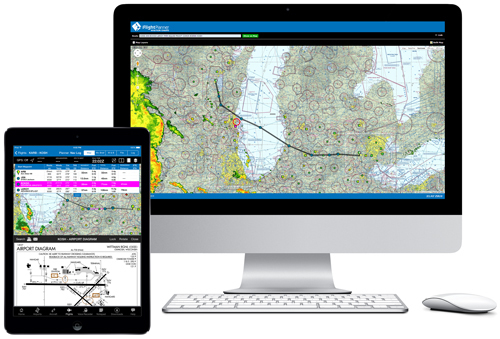 Pilots using iFlightPlanner.com their PC or smartphone will see the iFlightPlanner Cloud automatically make the transition to the new data at 9:01Z on May 25.